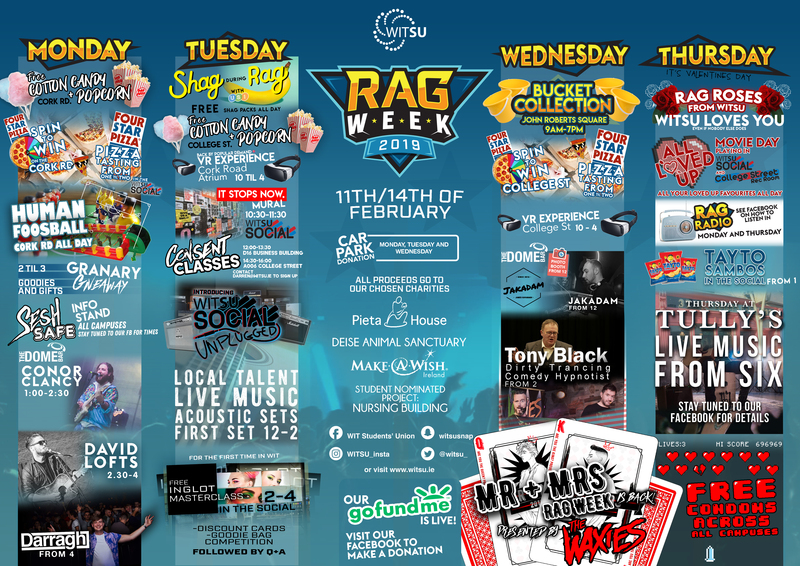 WIT Students’ Union (WITSU) launches the official WITSU Raise & Give (RAG) week. We have a HUGE line-up in store for daytime events on campus and night-time events with something on for everyone! Make sure to get involved and attend the events.